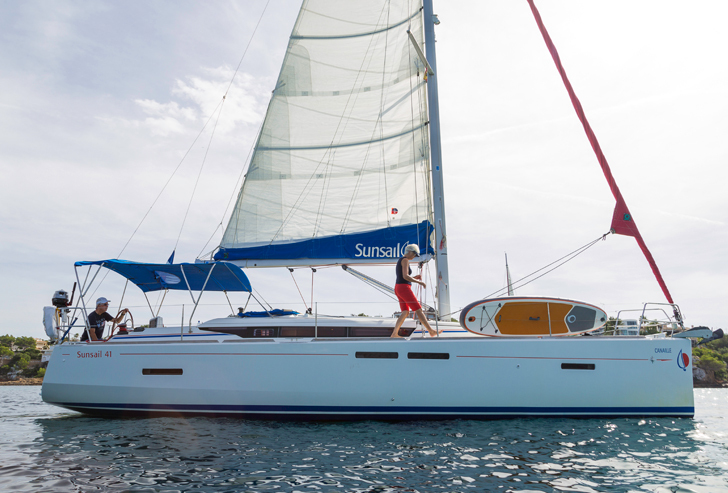 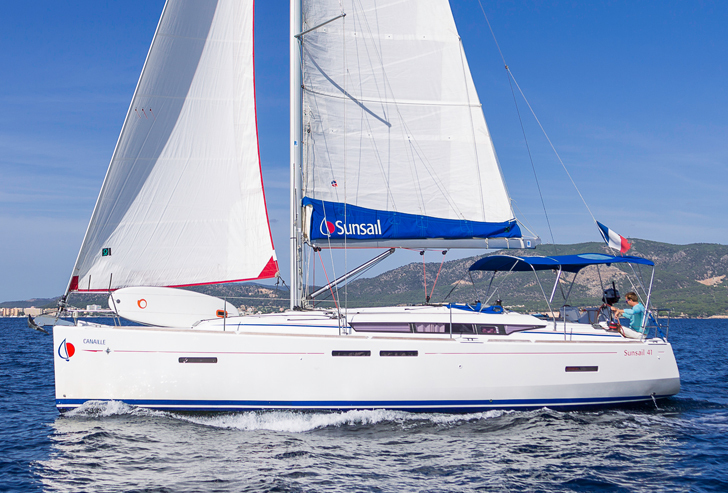 The Sunsail 41 comes in a 3 cabin, 2 head layout and offers a refined style with elegant lines and a bright interior. 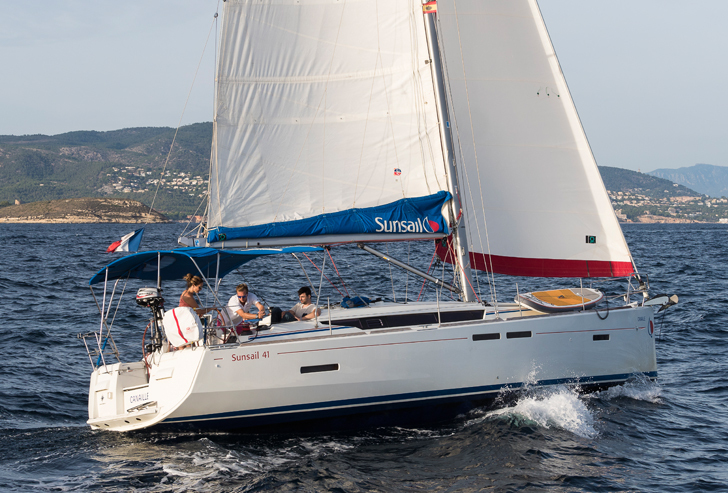 Designed by Philippe Briand, she is definitely a fast boat, with a modern hull form that will allow for good performance yet the overall layout has been thoughtfully planned for relaxed and easy cruising. 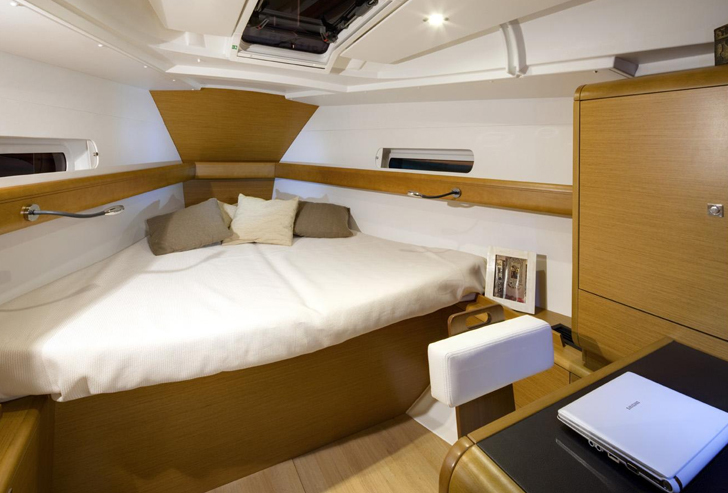 The three cabin layout features a forward master cabin with en-suite bathroom, with two further guest cabins aft and a head/shower to port. 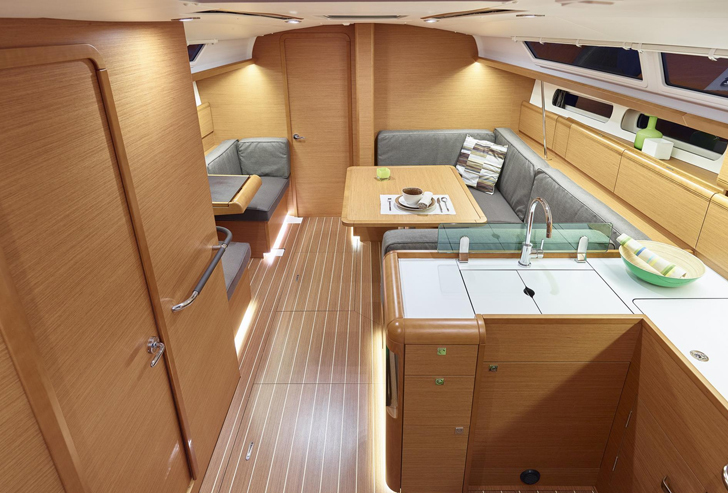 The U-shaped dinette has a reasonably sized table and the option of converting into a double berth. 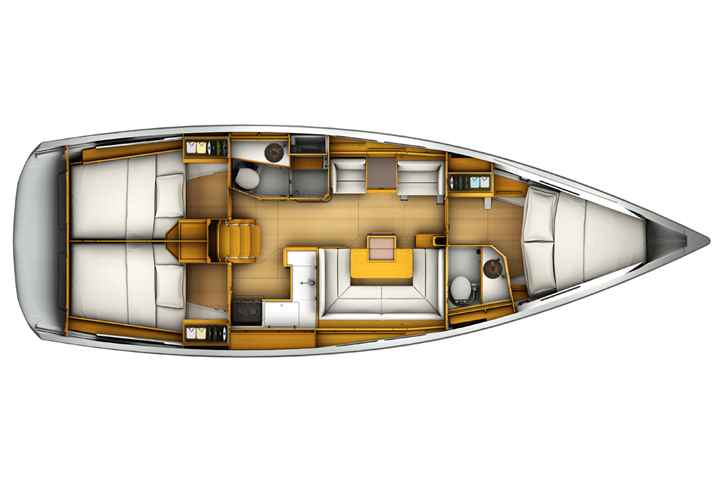 Also to port, between two seats, there’s a small chart table. 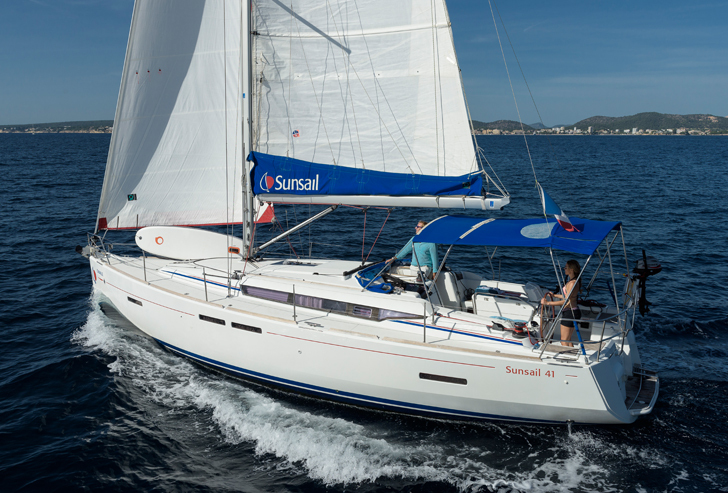 As with the Sunsail 34 and Sunsail 38, the cockpit is very comfortable and the twin wheels allow you to helm from several positions on both sides. 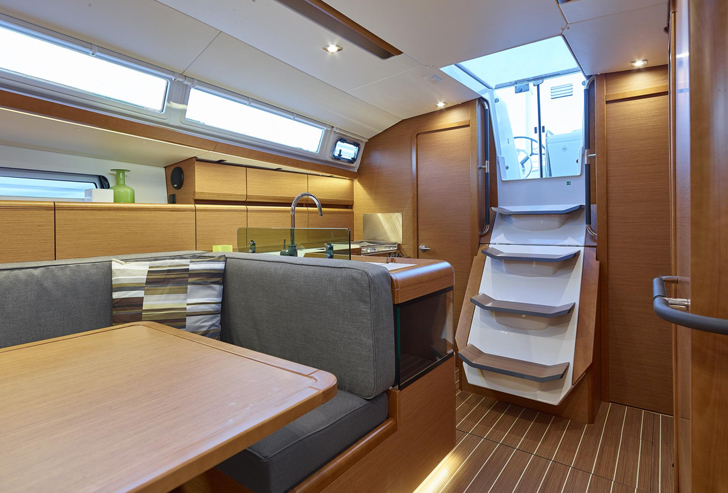 Another good development is the VDU screen that combines all instrumentation in one place and is mounted on the (foldable) cockpit table. 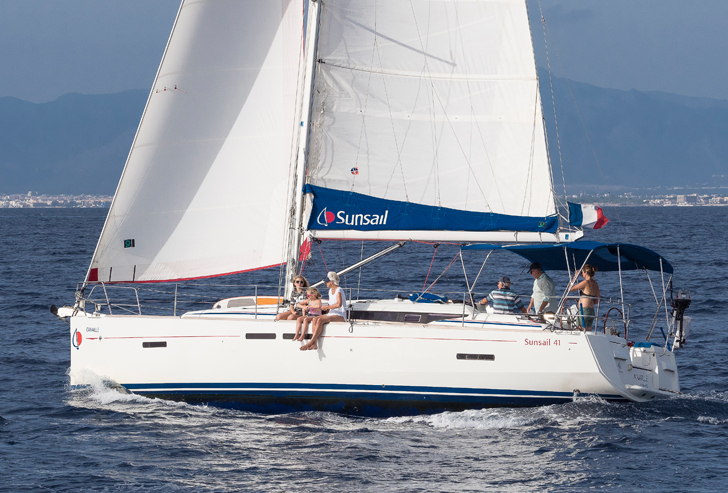 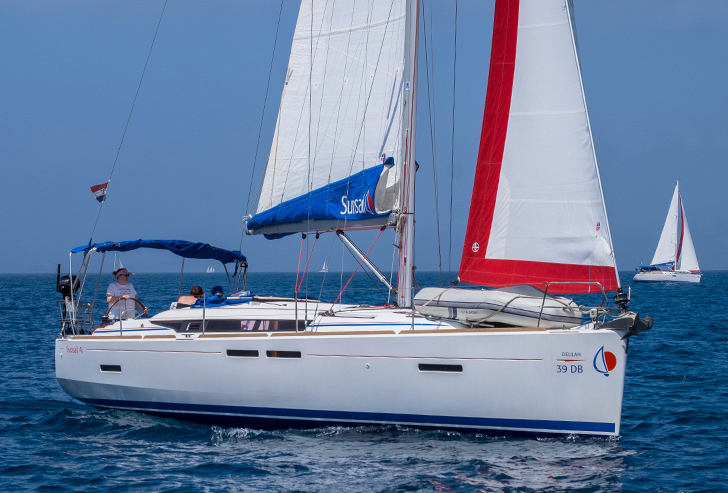 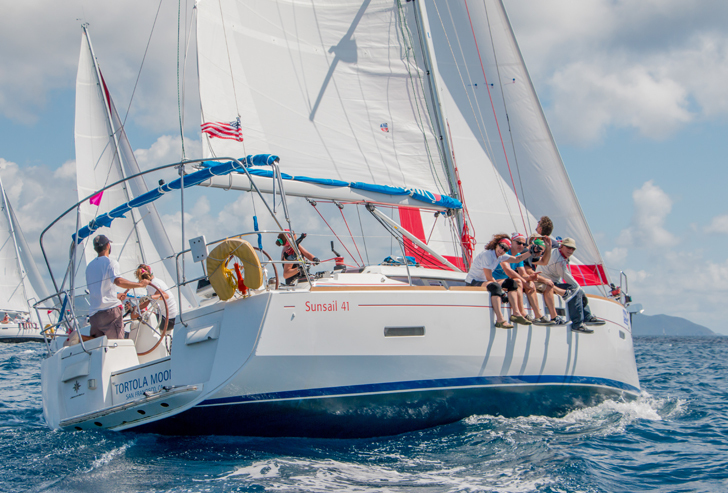 Under sail, the Sun Odyssey 419 behaves like a very light boat performing well in both light and breezy conditions.